Steven (Chicagoland, United States) on 4 October 2010 in Plant & Nature and Portfolio. 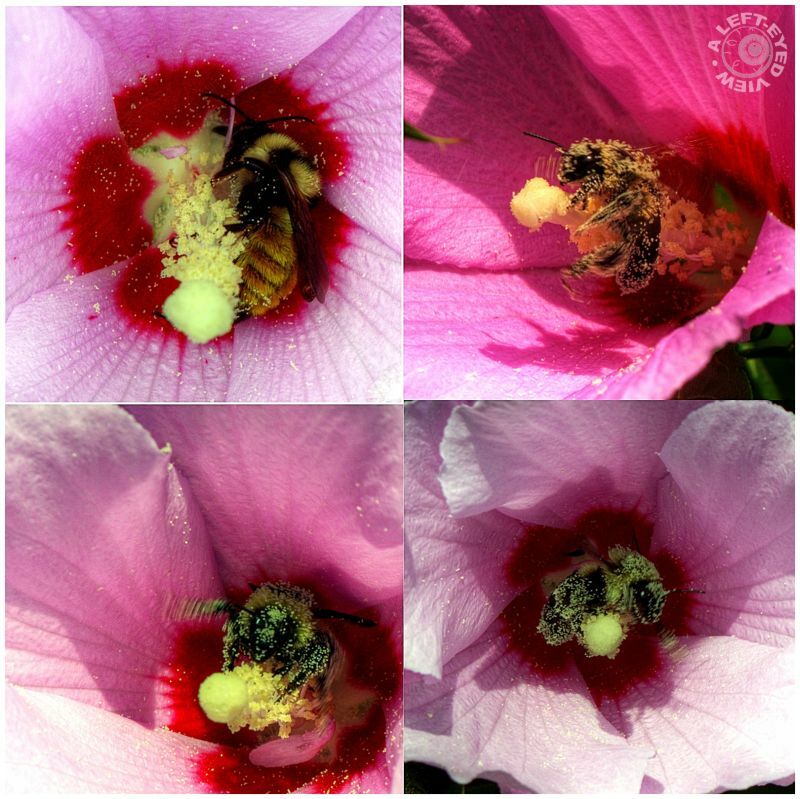 Series of photos captured of bees bathed in pollen as they pollenated pink hibiscus flowers. Photos captured August 21, 2010. 4 masterpiece in photography .. Bravo ! ha ha . . looks like an overload ! Somebody had fun here! Super series! This is a great idea Steve - always wonderful things from you - thank you sir! Very cool set. I wonder if bees ever sneeze. Wow that one is nearly all yellow! Very cool group of photos. Excellent observation of images. I wonder if that amount of pollen makes them heavy and have difficulty flying.